Hundreds of Hondurans that massed in the city of San Pedro Sula, formed a new caravan of migrants heading for the US, even though thousands who made their way north with previous caravans remain stranded on the Mexico-US border. 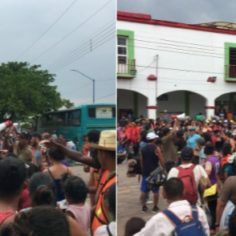 Around 1000 people, according to police have massed at the city’s bus terminal after rumours of a new migrant caravan spread. The migrants gather in large groups to avoid being robbed, kidnapped or killed by Mexican gangs on the way, the BBC reported. Migrants in the crime-ridden city of San Pedro Sula told reporters they were not deterred by the American President’s threats to close the border with Mexico. 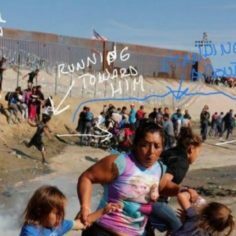 Only days later, some 350 Central American migrants “broke violently” into Mexico on Friday as the caravan of 2 500 people arrived from Guatemala. The caravan which set out on Wednesday from San Pedro Sula in Honduras, has reportedly picked up Guatemalans and some Nicaraguans along the way. 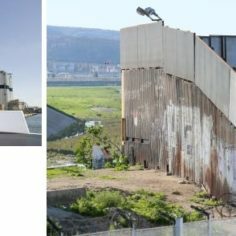 US President Donald Trump has already called on migrants heading for the US via Mexico to stop the caravans and has ordered the suspension of aid payments to Honduras, El Salvador and Guatemala – the three countries from which most of the migrants in the caravan originate. 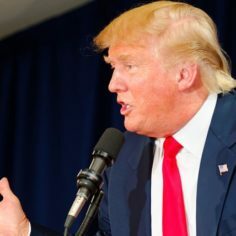 The New York Times reported that Trump was considering pushing for fresh limits on asylum seekers, ending birthright citizenship, and closing ports of entry at the Mexican border. 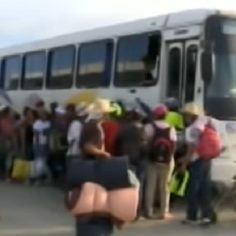 Migrants at the bus terminal complained that they could not find work in Honduras and hoped for better job opportunities either in Mexico or in the US. At the US border, asylum applications were still pending, mainly from illegals coming from Central America. Figures provided by US Customs and Border Protection on Tuesday suggested the number of migrants detained entering the US from Mexico had risen sharply. 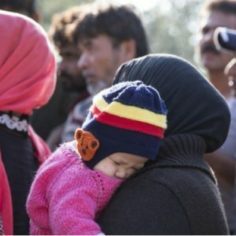 More than 103 000 migrants were apprehended or deemed “inadmissible” in March, up from almost 77 000 in February, according to the latest figures. The Trump administration has called on immigration authorities to release migrant detainees from the southern border into so-called sanctuary cities as retaliation against Democrats, the Washington Post reported on Thursday. The so-called sanctuary cities have been refusing to deport undocumented illegal immigrants.